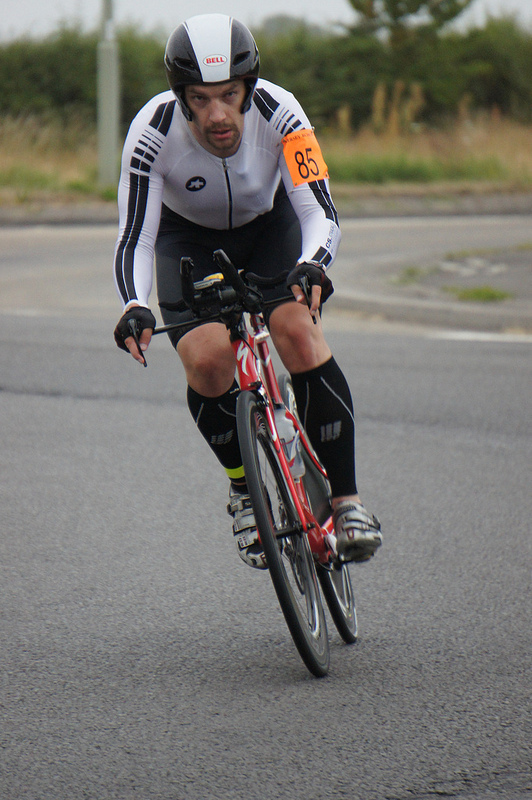 Mark Brooking has just sent in this picture of Stuart “Hippy” Birnie on his way to becoming National Champion. Keep an eye open on Stuart’s Blog (http://www.thehippy.net/nucleus/), as I’m sure there will shortly be a full posting on his record breaking ride. Brilliant, brilliant ride, Stuart. We were absolutely thrilled when we knew you’d won. What amazes us too was the fact that, despite the pressure of being in it to win it, this man never once passed The Pinkies without some words of encouragement.